First of all if you are searching for good looking straighteners. Ones that are ultimately easy to carry around with you when you are on the go. 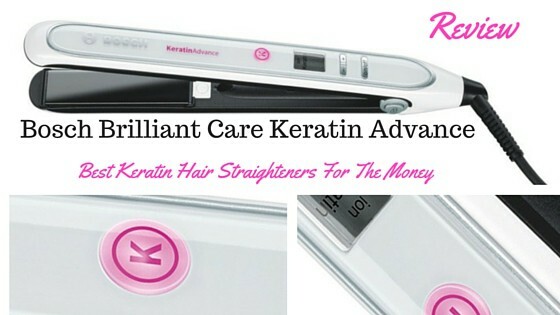 Therefore these Bosch Brilliant care Keratin advanced straighteners are an excellent choice. Above all Bosch is clearly a top brand in a wide range of electronic products. Therefore this means it is a well trusted as a brand. Moreover the shiny white appearance from this product makes these straighteners very attractive and great ﻿﻿value for money. Furthermore the fact that the flat design makes them very easy to pack into your bag and carry them about with you. Of corse if you regularly travel, it is a handy extra feature to hold. In addition if you are looking for the best hair straightener for travel, you’ll find that the Bosch Brilliant Care Keratin Advance Straightener is an excellent choice for yourself. No doubt we have reviewed the top 5 for travel in more depth on our 'best cordless hair straighteners for travel' page. For this reason go over and have a read if your looking for straighteners to travel with. Meanwhile while Bosch is recognised as a leading name. Moreover they are also a great brand for people who have a budget to stick to. You’ll find plenty more expensive brands to choose from than Bosch. Although you wouldn’t necessarily say that there are a lot better brands to choose from. Stick with ones you trust and know. 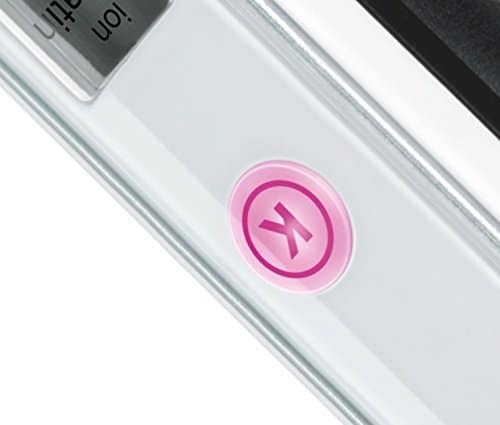 Furthermore to protect the natural keratin in your hair with the Keratin Advance hair straightener by Bosch. It will help to maintain the vibrant depth of your colour. Anodised, flexible plates ensure that the heat is evenly spread and ionisation will leave your hair frizz-free and healthy looking. whilst researching different keratin fulfilled hair straightener we found this particular product the best value for the money. 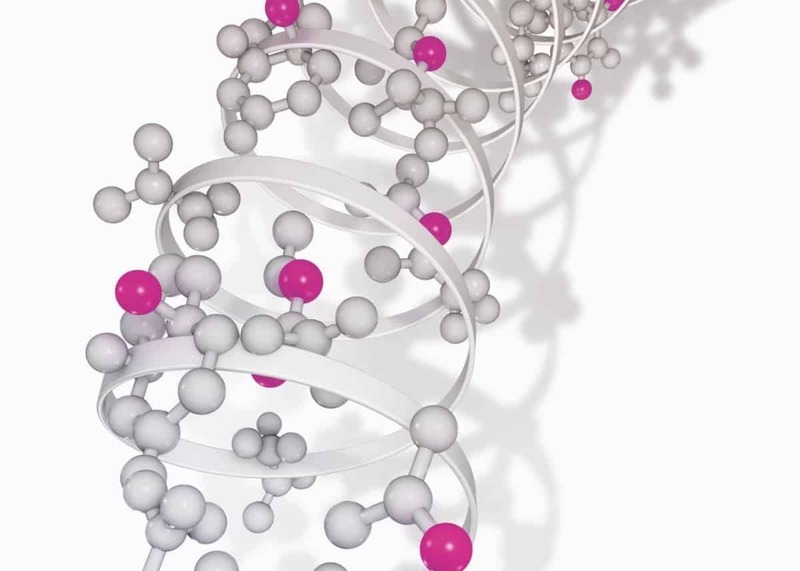 In addition keratin is a naturally strong protein and a major element in our hair and nails. Every day styling can destroy the keratin, making hair appear dry and unhealthy. Keratin Advance technology gently protects the hair with the right heat and airflow to look after these important proteins. Therefore you should find that the plates are very smooth, which will allow them to glide through hair without causing any tangles. If you are looking to add some texture or body to short hair or fine hair, you should also find that these are really easy to use. Above all there is also the fact that the slightly curved design is great for people who are looking to add some flicks or curls to their hairs.Of corse it also makes them great straighteners for people who have little flicks of annoying hair at the back of their neck or behind their ears, they will be gone in just one glide of the straightener. 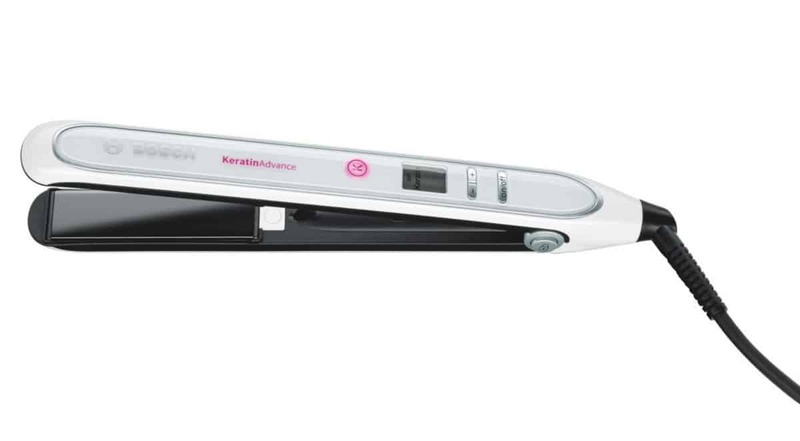 Moreover one of the top features of these straighteners comes down to the fact that the temperature is fully controlled and customisable between 100 and 200 degrees. In addition these straightener also purely focus on making sure they don't cause any damage to your hair follicles whilst styling. In my opinion these straighteners are partly marketing themselves with the aim of helping you find straighteners that will care for the structure of your hair, which is where the Keratin aspect of the name comes in. If you have coloured hair, you’ll find that these are quality straighteners which work hard to protect the sensitivity of your hair. On the other hand ou can stay in full control of the temperature through the use of the small LED display window and the +/- buttons beside the display. This could be a bit bigger for some people but if you are looking for a really easy way to stay in control of the temperature of your straighteners, these are definitely among the best hair straighteners for the money. ​A very smart hair straightener which promises to protect your hair and its colour. In addition the temperature can be adjusted from 100-200 degrees. Also there is a lock feature which holds the tongs fairly close together. An LED window showing temperature, plus the -/+ control and an on/off switch. Very nicely made and sleek. They work well on the hair and don't dry it out like some do. However at the price of £34.99 these straighteners are worth every penny, this product includes all the feature of a high end expensive product with a low price, just what is needed when you’re on a budget. For this reason don’t be worried about the low price as this is a well-recognised and trusted brand. Finally when it comes to reliable straighteners that are comfortable to use, easy to hold and look great, design to look after your hair,you won’t find many that are better than the Bosch Brilliant Care Keratin Advance Straightener. In conclusion for value for money and reliability, Bosch remains a name that can be relied on, whatever they produce. Yes I do allow guest posts if you email me your ideas and more details I will get back to you as soon as possible .. [email protected], Thanks Frankie.